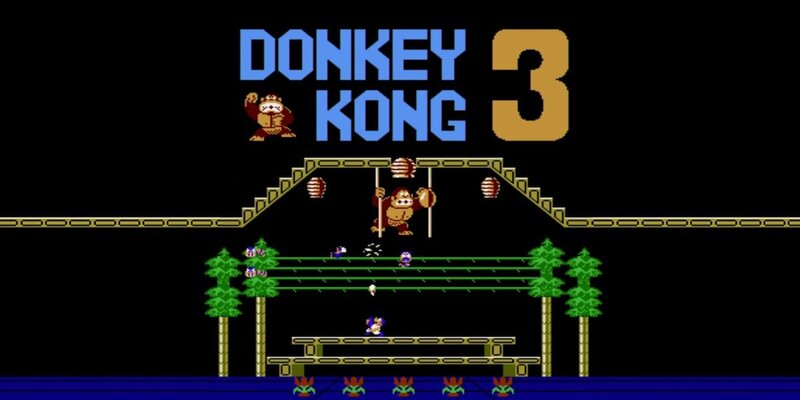 Donkey Kong 3 is making its way to Nintendo Switch as part of the Arcade Archives collection, care of Hamster. It will be touching down tomorrow if you can't wait to get your Donkey Kong on, running for $7.99 via the Nintendo Switch eShop. Donkey Kong 3 is a little bit different than the classic Donkey Kong you're familiar with. It came out in 1983, and instead of jumping over barrels to get to the monkey himself, you shoot at him with a character named Stanley the exterminator, who sprays out bug spray. Yes, bug spray. Donkey Kong is at the top of the screen suspended from vines, trying to keep away from you as insects buzz around the levels. He's taken over Stanley's greenhouse and we just can't have that, so Stanley has to squirt chemicals in his face. Sounds like a plan. Buzzbees, Beespies, queen bees, butterflies, Creepy Caterpillars, beetles, moths, Beebombs, and vine eaters are just a few of the bugs you'll have to contend with as you work to stop the ape from stirring up additional bugs and destroying the flowers in the greenhouse. So it's no award-winning narrative, but it makes for a pretty fun game. 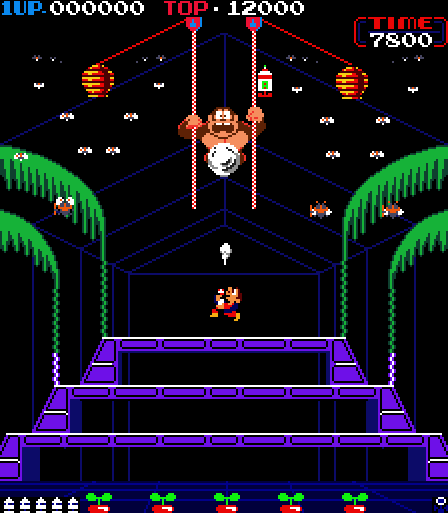 This version of Donkey Kong 3 is part of the Arcade Archives series, which finds developer Hamster bringing reproductions of classic arcade games to the Switch with options for game difficulty, arcade display settings, and more. There are also leaderboards to compete on, with modern niceties to bring arcade classics to new consoles. This may be the first time some players will have ever tried Donkey Kong 3, mind you! Donkey Kong 3 comes swinging out to Nintendo Switch consoles on April 5. Not bad. its better than many give it credit for.